Urinary retention can happen at any age, though it most commonly occurs in males aged 50+, and often due to enlarged prostate or BPH. However, it urinary retention can also occur in females, typically due to a condition known as cystocele – which is when the bladder sags or moves out of its normal position. A condition known as rectocele can also cause urinary retention in both sexes when the bladder is pulled out of position by the colon. In addition to age-based conditions, people of all ages, male or female, can have nerve disease or damage that can interfere with the bladder function. 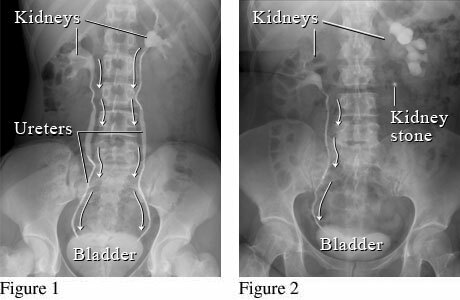 Urinary retention is the inability to empty urine from the bladder and can be characterized as acute or chronic. Acute urinary retention usually occurs suddenly and temporarily. Individuals suffering from acute urinary retention are unable to empty their bladder at all — they can feel the urge to urinate, but can’t go at all. This can be potentially life-threatening as pressure is built up in the bladder and may lead to a rupture, and can cause a great deal of discomfort or pain in the lower abdomen. If you experience any of these symptoms, it is important to seek emergency medical attention immediately to release the buildup of urine. Chronic urinary retention, on the other hand, typically lasts a long period of time. Individuals with chronic urinary retention are usually able to urinate, but cannot empty their bladder completely. It is extremely common for people who with chronic urinary retention to be unaware of their condition as symptoms may not be as clear at first. Urge incontinence, the involuntary expelling of urine associated with a an urgent feeling to urinate. If you experience any of these symptoms, it is important to seek medical attention from a urologist. If left untreated, it can lead to the development of other conditions, such as urinary incontinence, kidney disease, bladder damage, and/or urinary tract infections (UTIs). Urinary retention is the inability to empty the bladder. Urinary retention can be acute or chronic, depending on a number of factors and an individual’s medical condition. Urinary retention is most common in men in their 50s and 60s because of prostate enlargement. Women may experience urinary retention with a condition called cystocele when the bladder sags or moves out of the normal position, or rectocele, where the bladder is pulled out of position by a sagging of the lower part of the colon. Causes of urinary retention include urethral obstruction due to conditions such as enlarged prostate (BPH) or urethral strictures, nerve damage that disrupt neurological signals between the bladder and the brain, post-surgery related issues, and certain medications. Symptoms of acute urinary retention are severe discomfort and pain, bloated lower belly, an urgent need to urinate but the inability to do so. Chronic urinary retention symptoms often include mild but constant discomfort, difficulty starting a stream of urine, weak flow of urine, the urge to urinate frequently, or feeling like you still need to urinate when you’re finished. Complications from urinary retention can include urinary tract infections (UTIs), bladder damage, and chronic kidney disease. Kidneys filter waste products from blood to make urine. Ureters are hollow, narrow tubes that carry urine from the kidneys to the bladder. The bladder is a muscular organ that stores and empties urine. The urethra carries urine from the bladder out of the body. In females, it is about 1 inch long, and about 8-10 inches long in males. Internal and external sphincters are sets of muscles that work to both keep urine in, and push urine out. The primary function of the urethra is to carry urine out of the body, so any obstruction in this structure can cause both acute or chronic urinary retention, as the normal flow of urine is blocked. Acute urinary retention is caused by a sudden, complete obstruction of the urethra; whereas chronic urinary retention is caused by a progressive and often partial obstruction of the urethra. Two things occur when you urinate: the muscles in the bladder wall contract to push urine out, and the brain sends signals down the spinal cord and surrounding nerves to contract the sphincters, causing the urethra to open and close, allowing the urine to leave the bladder. If the nerves controlling the bladder and sphincters are damaged, the brain may not receive signals that the bladder is full, or that the sphincters need to relax, which can cause urinary retention. It is common for patients to experience temporary or acute urinary retention after surgeries. This occurs due to anesthesia, which blocks pain signals in the nerves, which can impair overall bladder function. This, in combination with IV fluid administration, can sometimes cause urinary retention temporarily. However, acute urinary retention usually disappears after the anesthesia has worn off, and the patient usually regains full bladder control. A side effect of some medications can cause impaired function in the bladder muscles, making it difficult to push urine out of the bladder, causing urinary retention. Acute urinary retention is considered a medical emergency, and your doctor will place a catheter directly into your bladder to let out the urine. If this method of catheterization isn’t effective the doctor will create a small hole in the skin directly over your bladder and through the wall of the bladder. A suprapubic catheter would then be inserted directly into your bladder and the urine should quickly be drained. Chronic urinary retention affects hundreds of thousands of people every year, impacting their quality of life with constant symptoms and complications. Below are the number of ways in which chronic urinary retention is treated. Self-catheterization, or the use of a catheter, such as an Intermittent catheter, is one of the most popular ways to alleviate the symptoms of chronic urinary retention. CompactCath has revolutionized the catheter market by developing the smallest, most compact catheter. CompactCath is so small that it fits entirely in the palm of your hand! Intermittent catheters require the individual to use a different catheter every time they need to urinate, typically 4 – 5 times per day. Chronic urinary retention is often the cause of urinary stricture, or the narrowing of the urethra commonly due to injury or infection, which prevents urine from flowing through. To widen or dilate the urethral stricture, stents, or small tubes, are inserted into the urethra. As they are inserted into the urethra, stents widen, opening up the stricture and increasing urine flow. Depending on severity of the stricture, stents can either be inserted temporarily, or remain in the urethra permanently. This procedure is used to widen the urethral stricture in order to allow more urine to flow through. When it’s determined that chronic urinary retention is caused by bladder stones or blood clots, a flexible, lighted tubular scope called a cystoscope will usually be inserted into the urethra to find and remove foreign objects from the urethra, bladder, and/or bladder outlet. Your doctor may suggest surgery as a treatment if other therapies were unsuccessful in treating urinary retention. For many with urinary retention, self-catheterizing becomes an essential part of daily life, requiring individuals to use a catheter multiple times a day. However, the bulky and uncomfortable nature of traditional intermittent catheters often cause inconvenience and embarrassment to catheter users, which can lead to infrequent usage and eventually increased risk of infection and/or further complicated. CompactCath has been designed to fit in the palm of the hand, providing a smaller, easier and more discreet experience than traditional catheters. It is a compact intermittent urinary catheter that aims to reduce the inconvenience or embarrassment felt by some patients about self-catheterizing. It does this by minimizing catheter size, noisy packaging, and risk of developing infections and creating mess. CompactCath comes ready to use right out of the package. It is pre-lubricated, non-touch, has a drainage control mechanism, and lastly features an opaque packaging that brings users more privacy. If you’d like to try a free catheter sample, visit www.compactcath.com.